Now that we’ve looked at studying vocabulary, creating your routine and speaking without fear, it’s time to look at the more difficult task of engineering your life to give your Japanese every chance of success. You’ll need your list of things you enjoy from the first post. One of the most common misconceptions about language learning is that children learn faster than adults. A lot of research has shown that this is not the case. All things being equal, adults can learn faster than children, because they bring study skills to the table. The trouble is of course all things are not equal. Adult immigrants usually fail to learn English anywhere near as well as their children for the simple reason that life gets in the way. They have to work and put food on the table, and any social life is usually with people who speak their own language. 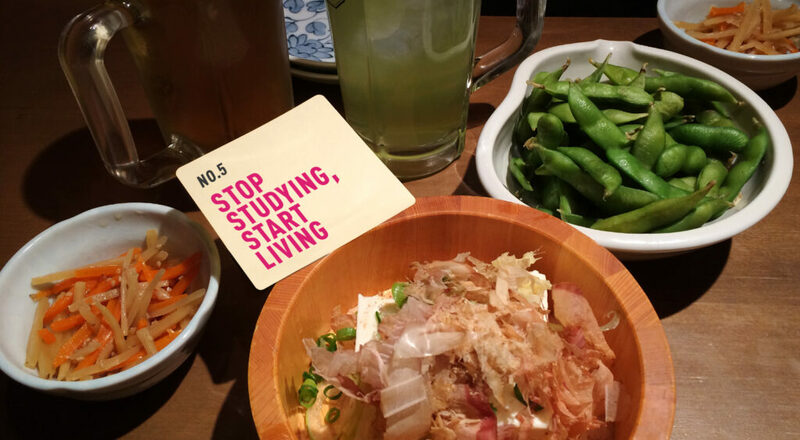 Now, this isn’t easy, but take an objective look at your life in Japan. What proportion of your social activities are spent with English-speaking friends, and what proportion in a Japanese speaking environment? It’s an uncomfortable truth that if you are not spending time in Japanese environments, you are unlikely to ever develop a good command of Japanese. Language exchanges go some way towards addressing this problem, but as I found out myself, the ultimate in developing a real grasp of Japanese is to put yourself out there in real social situations. Look at your list of things you said you do on a typical Sunday afternoon back home. It’s exactly these things that you need to try to emulate in Japan. If you do yoga back home, find a class in Japan. If you go running, join a local running club. Also, think laterally – if you like exercise but don’t have any specific passion, why not join an Aikido dojo? There are classes, groups and societies for virtually everything in Japan. The hardest part of this will be finding out about them, since the information you need will probably be in Japanese. This is the time to call in favours, perhaps with a friendly student or a Japanese staff member where you work. For this, you need to avoid Metropolis and Gaijin Pot (sorry guys!) and go to Japanese language sources that locals would use. The tough bit is turning up for the first time, but once you are there people invariably go out of their way to make you feel welcome, and not only that, will really appreciate the fact that a foreigner has taken the initiative to join them. It might help to remember that you’ve got just as much right to attend a class as anyone else – it’s just fear that’s stopping you. If you teach, picture a student turning up for group English classes for the first time. It’s not easy. If they can do it, so can you. All the magic happens afterwards. Every class in Japan takes regular trips to the izakaya for post-lesson refreshments. This is where things get really interesting, because suddenly you’re on the right side of the 内外 (uchi-soto) divide – the perfect foundation for learning real Japanese with real conversation over nama-biiru and karaage. Here, people come out of their shells and start talking. You’re part of the group now, and they have a duty to talk to you! In fact, you’ll have a hard time not speaking Japanese in that environment. Having something in common to talk about (i.e. your class) is what you want, because then the Japanese itself becomes a secondary concern. You’ll start to make friends and have the opportunity to speak Japanese regularly, for all the right reasons. What I want you to do is to take a bit of time now to look at your list and think about how you could start to use your free time differently. Start with your Sunday afternoons, for example, and commit to finding one thing that you will research and start from next week. Of everything we’ve looked at in this series, this is the most difficult, because I’m effectively asking you to make lifestyle changes. It might be a big step outside your comfort zone to follow the advice in this article, but if you can do it, you will start to experience the biggest development in your Japanese of all. The final post in the series tackles the big issue of kanji.